Post-Brexit Britain must adopt at least the same CO2 targets as the rest of the EU, or it risks stifling the market for ultra-low emission vehicles, Transport and Environment has warned. Archer pointed out that the organisation’s research had shown there were only 30 electric models on sale in Europe, nine of which are ‘available in significant numbers’, compared to 430 combustion engine models. 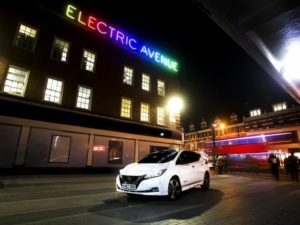 He added that secret shopper surveys had shown dealers were dissuading drivers from buying ULEVs, that these models typically had six to nine month waiting times, and only accounted for 5% of carmakers’ UK advertising spend last year. This, he said, makes regulation essential. Manufacturers are working towards the EU’s 95g/km average CO2 target in 2020/21, with fines for non-compliance and ‘super-credits’ for sub-50g/km vehicles. This means every low-emission vehicle will be counted twice when calculating average CO2 emissions in 2020, aimed at encouraging manufacturers to prioritise selling those vehicles as well as improving conventional drivetrains.